Since SZA’s 2017 debut album, Ctrl, we’ve been shook by her ability to show realness and vulnerability. “20 Something” detailed the anxiety we feel about the uncertainties in our lives, and “Garden (Say It Like Dat)” expressed how we need support in a relationship (but might not feel worthy enough.) The album taught us about love for, and acceptance of, our bodies and imperfections; it put into words what we never had the ability to express. SZA is the queen of channeling relatable emotions into songs we just can’t get enough of. This Friday, SZA will grace us with her presence at Block Party, and none of us are truly ready for it. Thus, Jerk has prepared a one-stop guide to preparing your body for being fully possessed by the performance of SZA. Step 1: Wear strictly baggy, ripped mom jeans and comfy, oversized tee shirts for the entire week. SZA is the master of pulling off comfy-chic fashion. Just take one look at her Instagram and you’ll see vintage tees, denim overalls, and sweatpants galore. And every look is FIRE. SZA redefines the just-rolled-out-of-bed look, and does it better than anyone. Step 2: Stress your self-care habits. Our very own SZA used to be a skin care consultant at Sephora, back when she was known as Solána Rowe. So, this week, take off your makeup every night, even when you’re too exhausted. Wash your face, exfoliate, moisturize, and tone (whatever that does). Apply charcoal facemasks and shiny lip-gloss. Always have iced water with lemon on hand. And go all natural baby — SZA would want you loving yourself in the skin you’re in. Step 3: Go on a Barrymore binge. How can we forget heart-wrenching and utterly relatable lyrics like, “I get so lonely, I forget what I'm worth/We get so lonely, we pretend that this works,” from SZA’s “Drew Barrymore” on her Ctrl album. SZA penned the song after the actress because Barrymore’s films were formative for the singer, she says. Many of her roles, like Josie “Grossie” in Never Been Kissed, made SZA feel better about “being awkward and having crooked teeth” and helped her feel comfortable with just being herself. So, lock yourself in your room and queue up some Riding in Cars with Boys, He’s Just Not That into You, and Ever After to prep for Friday. Step 4: Tell everyone you know that you’re just “focusing on you” for now. If there’s anything that SZA’s album, Ctrl, taught us, it’s that sometimes it’s okay to be selfish in relationships. You’ve decided it’s time to focus on your own personal growth and development, in your career or in your schoolwork, and that’s a good thing. This week is a week of self-discovery in pure SZA fashion. You’re cutting yourself off from any toxicity. No more stressing about that hookup you had that one time and why they won’t text you back, or worrying about why you weren’t invited to Flip with your friends last night. Now, it’s time to focus on you. 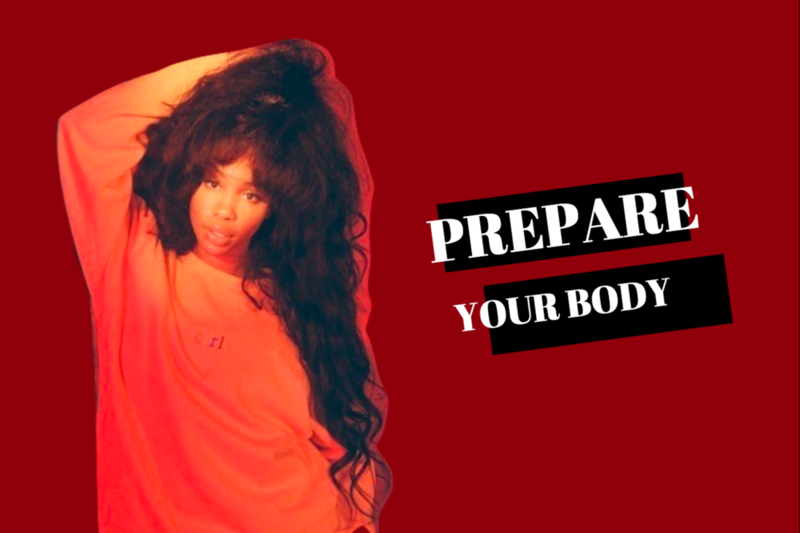 Follow JERK’s guide to SZA preparedness and you’ll for sure be ready for an out-of-body experience in the Carrier Dome this Friday night. What Does Racism Look Like Today?